Here is redo of some old data with new tools. Click on the image to see the original version and again to return to the newer version. Processing This image was processed entirely in Images Plus. Calibration, stacking, initial masked stretch in Images Plus . The feature mask was used to split the nebula from the stars. Multipoint flattening used to correct for a gradient across the image. Multiscale decomposition used to increase the contrast of the nebula image. Masked noise reduction was used to reduce the noise in the background of the nebula image. 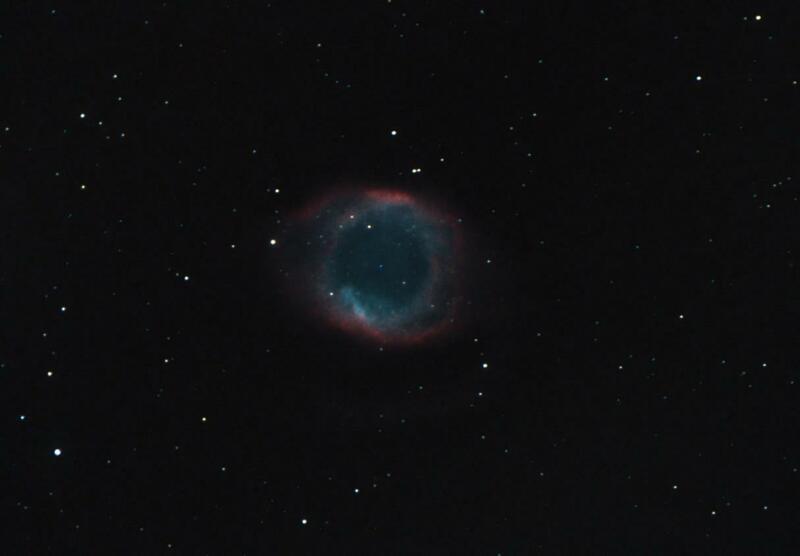 The star image was detrailed slightly using the star halo reduction function. Both images were recombined and the final image was binned and cropped.